= If you go to that museum, a historian will explain the display for you in person, so you can learn more. = I had originally intended to renew the contract, but the company said there was no budget, so I couldn’t extend it. 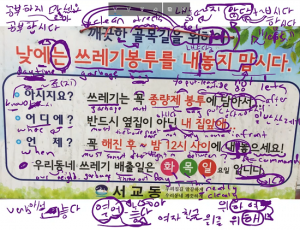 Notes: The meaning of 찾아내다 is very similar to simply using 찾다, but 찾아내다 is more likely to be used when looking for something that is difficult to find. Through this difficult search, the thing ends up being “revealed,” much like the meaning “to find out” would have in English. Notes: This word is very commonly said by itself when somebody sees something spectacular. For example, saying “대단하다!” would be similar to saying “wow!” in English. = You solving this problem on this first try is really amazing! Notes: Often used when one wants to respond, but does not know exactly how to respond. Person 1: 우리는 이 문제를 어떻게 해결할 거예요? = How are we going to solve this problem? 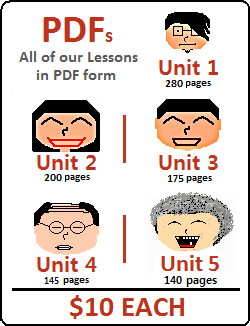 In the previous two lessons, you learned about a variety of situations where you can use “~ㄹ/을까(요).” In this lesson, you will learn another way that you can use this grammatical form. 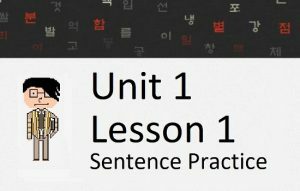 In this lesson, you will learn about adding ~ㄹ/을까 봐 to sentence to indicate that the speaker is worried about something. Let’s get started. The most common time you will see 걱정하다 being used is when telling somebody not to be worried. 걱정하지 마! = Don’t worry! Anyways, now that we know that, let’s talk about the grammatical form ~ㄹ/을까 봐. When putting this at the end of a sentence, the speaker is indicating that he or she is worried about the clause before ~ㄹ/을까 봐 occurring. As you can see, the sentences above (with their meanings changed) are illogical when used like that. Of course, you could find a context where they might be appropriate, but I’d be hard pressed to find a situation where you would want to say “I am thinking about doing bad on the exam.” By paying attention to the context and the information within the sentence, it is usually clear what meaning is being implied. In each of the examples above, the word 걱정되다 can be removed with no real difference in meaning. These types of constructions are more likely to be used in the middle of a conversation. For example, if somebody asks you “Why are you worried?” you can eliminate 걱정되다 from the sentence because it can be assumed. However, when walking into a room and starting a conversation, you will be more likely to hear “걱정되다” used in these sentences. 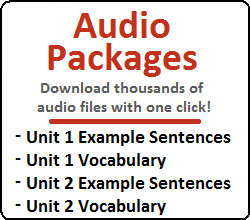 So far, you have only ~ㄹ/을까 봐 can also be used as a connector between two clauses. We will talk about how to do this in the next section. Hopefully by now you are comfortable with the various usages of ~ㄹ/을까(요) in Korean. If you are confused about anything, feel free to review or ask us questions!